There are several sites that give you access to hundreds and thousands of PLR products like PLR Wholesaler, IDPLR and others. In a recent post, I reviewed PLR Wholesaler. Today I thought to write a detailed IDPLR review. IDPLR is a source of over 8000 PLR products including ebooks, software, videos, courses and much more. It is a membership site having more than 36000 members. So how IDPLR can help you in earning money? Do you really need IDPLR? 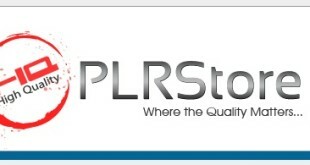 How PLR products can help you earn money? Stick around to find the answers and keep reading IDPLR review. At IDPLR, you get access to thousands of PLR ebooks, software, videos, templates, graphics and much more. You can download, use and even resell these products. You don’t necessarily have to download and use the product for personal use rather you can resell it for money or you can give the products as freebies to your customers. PLR products are best for list building. Let’s talk about the features and types of products that you get access to at IDPLR. Free as well as paid membership so this means you don’t necessarily have to be a paid member to use products. IDPLR has more than 4600 ebooks. You get access to around 800 videos. There are 800 software of different types. More than 200 graphic packs like cart buttons, guarantee boxes, buy buttons etc. More than 80 audio packs like trainings, music and others. 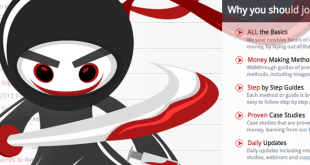 500 template packs including WP themes, CSS templates, sales letters etc. There are more than 100 turnkey sites that you can use immediately with a few minutes. Most importantly you get access to 20,000 PLR articles in pretty much all niches. New products are added on daily basis. Availability of live preview so that you can preview the product before downloading it. Free Membership: With free membership, you get access to 500 products only. These products are limited to ebooks and software. Gold Membership: Gold members get access to all the products plus they get freebies as well as free 5GB web hosting space. Gold Members can sign up for 3 months, 1 year or for lifetime. Here comes the most important question, how you can use all these PLR products? You can use PLR products in several ways. Probably the best use of PLR products is in email marketing where you offer your target audience with something for free (a PLR product) in exchange of their email address. Build your email list and then you can make money from your list. You can resell these PLR products. Don’t worry you get Resell Rights too. You can resell these PLR products and can make money from them. You can use PLR products for your business, website or blog. Free membership is the best feature offered by IDPLR. I just love it. Even when we talk about gold membership, that is very reasonable. Choose lifetime option, pay once and just relax. There are a lot of PLR products that you can use in any way you like. New products are added on regular basis so you will always get new products. There is no dead-end. You can resell the products for money. PLR products aren’t always good for instance a PLR article is not something that you can use freely on your blog or site. Majority of the PLR products lack quality. There is no way that you shouldn’t use IDPLR. You can use IDPLR and their PLR products in several ways and you will keep on using them throughout your life. There is so much in it for you. When it comes to software, graphics, sites, templates, wordpress themes, videos, audios and training programs, you can use them and sell them quite easily. However I have serious reservations for PLR articles. Except for PLR articles, you will love other PLR products. IDPLR is a great membership site for almost everyone. 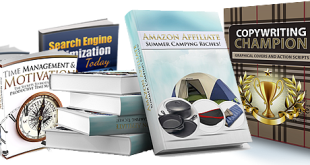 They have a huge list of PLR products that are sure to help you in several ways. You can resell these products, you can give them as freebies, you can use them for list building or you can use these products for your own business. The potentials are unlimited, you just have to find the best and the most profitable use of PLR products.